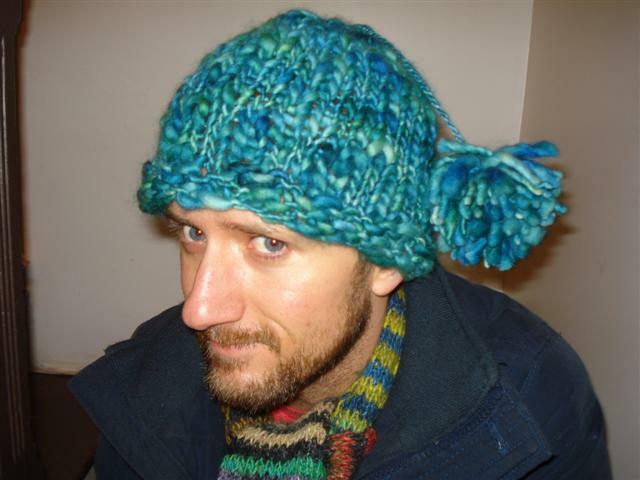 Zach has one of these pom pom hats that I made 2 years ago from the same kind of yarn, only olive green. He’s been wearing it faithfully. So, when we were in San Francisco over Christmas, I bought more Malabrigo yarn. It knit up really fast on size 17 needles. Of course, I just sewed in the ends this morning, because I am unable to give most gifts on their designated holiday. It’s been mostly finished since new years.